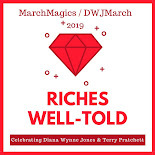 And this, my friends, is the end of another lovely March Magics / DWJ March event. It was a successful month of celebration, new connections, and satisfying reads and rereads. I also got a Neil Gaiman retweet during our DWJ Twitter party so that was awesome! 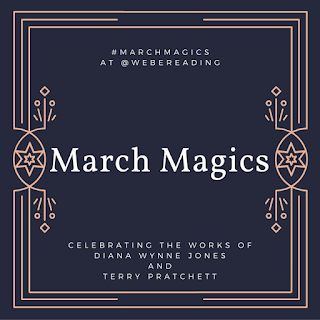 I ended up rereading five Diana Wynne Jones books (Witch's Business, The Lives of Christopher Chant, Archer's Goon, Dark Lord of Derkholm, and House of Many Ways), reread Terry Pratchett's Equal Rites, and read Guards! Guards!, Nation, and Sourcery for the first time. Nine books seems simultaneously like a lot and not enough time spent with these two wonderful authors. Thank you for spending this month with me, Diana, and Terry! I hope that you enjoyed it as much as I did. 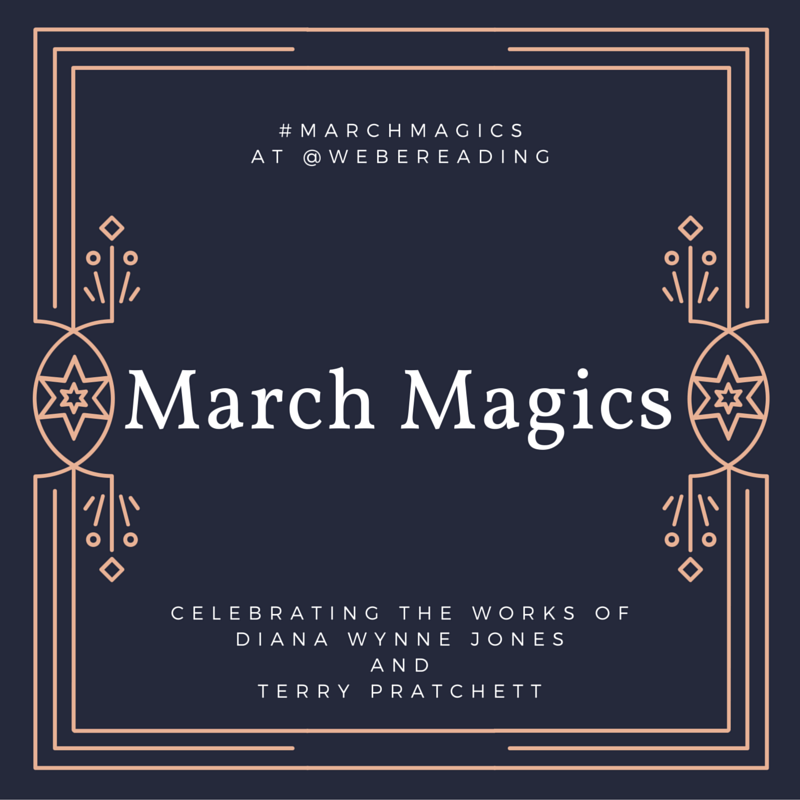 Thank you for being a wonderful reading/blogging companion during this month again! It was a wonderful month, I'm only sorry I could not squeeze in more books. I'm going to plan ahead better next year! Planning definitely helps! :) Thanks for joining me and for being a great participant! I loved following along with this! March was (as last year, grrrrr) absolutely slammed for me, with lots of travel, so I didn't get to participate and I am mad at myself about that. Better planning next year!